The star of Terminator 2, Arnold Schwarzenegger. He's back in The Last Stand. Top Schwarzenegger Movie: Vote Now! 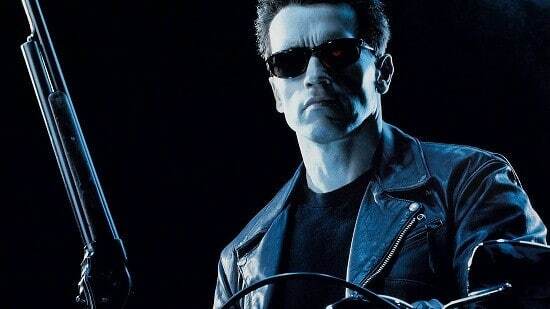 Top 10 Schwarzenegger Movies: Who's #1? Summer 2015: Best Movie Season Ever? Vote Now! Arnold Schwarzenegger hails from Thal, Austria, and has had a job in pretty much...everything. He was an Austrian and American bodybuilder, in addition to being an actor, businessman, investor, and politician. He began weight training at only 15 years old, and won Mr. Universe when he was 20. Schwarzeneggar began his acting career in the 1970s, when he played Hercules in Hercules in New York. He became the governor of California in 2003. He is probably best known for playing The Teminator in The Terminator films. He has also been in Stay Hungry, Scavenger Hunt, Conan the Barbarian, Conan the Destroyer, Commando, Raw Deal, Predator, The Running Man, the original Total Recall, True Lies, Eraser, The 6th Day, Collateral Damage, The Expendables, The Expendables 2, and so much more! Who knows what is next in store for Arnold!